Other Common Names: Margosa tree. Botanical Name: Azadirachta indica. 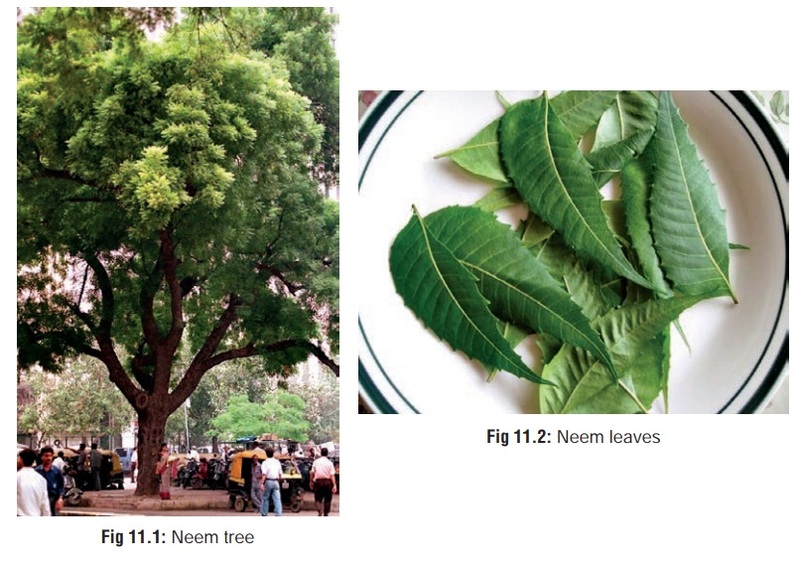 This tree belonging to family Meliaceae grows well in most parts of the country (Fig 11.1) and is revered highly for its medicinal properties. The seeds yield a yellowish oil (neem oil or margosa oil) which has a disagreeable odour and bitter taste. Various parts of the tree as well as the oil have been used in the treatment of a wide variety of ailments. Rural folk often chew on the twig of this tree to “clean” their teeth as an alternative to brushing with conventional dentifrices. Leaves (Fig 11.2) and seeds. · Margosa oil and leaf extract contain stearic, oleic, palmitic, and linoleic acids. · Aflatoxins may be present in unrefined oil. Ingestion of leaf extract or excess of margosa oil results in hepatotoxicity with vomiting, drowsiness, and encephalopathy. Metabolic acidosis is often present. Convulsions, myocarditis (with ventricular fibrillation), and pancreatitis have been reported.